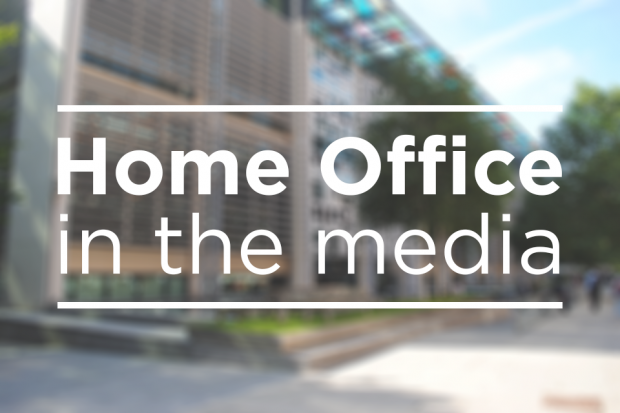 The main news relating to the Home Office today includes the Crown Prosecution Service’s announcement that they are cracking down on online hate crime, and reports that work has begun in government to tighten regulations around renting vehicles after the recent attacks in Spain. The Crown Prosecution Service (CPS) announced today that hate crimes committed online are to be pursued as seriously as offences carried out face to face. The Director of Public Prosecutions, Alison Saunders, has said that the CPS would seek stiffer penalties for abuse on Twitter and Facebook, among other social media platforms. For the first time, CPS policy will acknowledge that victims of biphobic hate crime have different experiences and needs to victims of homophobic and transphobic offences. The CPS is also launching a social media campaign to encourage people to come forward and report hate crime incidents. This forms part of the government’s overarching hate crime strategy. For more information about the announcement, you can read Alison Saunders’ op-ed in the Guardian here or the CPS’ press release here. The Times and Guardian report that British drivers wanting to rent vehicles are going to face tougher checks as the government wants to tighten rules following the Barcelona attack. They both say that that the Home Office and Department for Transport have begun discussions with the vehicle rental industry. They quote sources in the Sunday Telegraph who said that more personal details could be required, and names, addresses and financial details could be checked against criminal watchlists. This is predominantly a Department for Transport lead, so follow-up queries should be directed to their press office. The government’s existing statement on this issue is below. The threat from terrorism is changing and so must our response. That is why we are reviewing our counter-terrorism strategy and powers and why we have put extra resources into counter-terrorism. The Department for Transport is also working with the police and the vehicle rental industry to explore what more can be done to prevent the malicious use of hire vehicles. This includes looking at what more rental companies could do before an individual can hire a vehicle. We have also been working to improve protection in public spaces, including increased physical security measures at locations such as bridges and city centres, and will continue to explore every option. At the same time people should not be afraid to go about their daily lives. We ask that people remain alert but not alarmed and report anything suspicious to the police.